Norway can be easily called a near perfect country. This nation is one of the wealthiest in the planet and offers universal health care, subsidized higher education, comprehensive social security, in addition of following the Nordic model. It is a country that treasures equal human rights for everyone regardless of gender and sexual orientation. 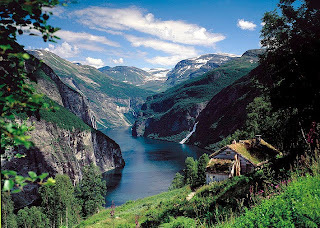 Norwegians have one of the highest standards of life in the planet and is one of the most peaceful places in the world. Norway has a rugged coastline with huge impressive fjords and numerous islands and throughout the nation you will find stunning and dramatic scenarios and landscapes. At the world's greatest beauty contest, Norway debuted in 1953 and had produced many semifinalists and finalists. They reached the second place in 1972 and fourth place in 2002. This year Norway will be represented by the spectacular Mariann Birkedal, who won the Frøken Norge 2010 pageant last June. 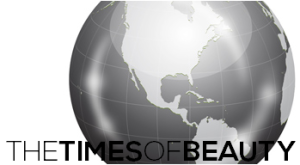 TimesOfBeauty.com proudly presents Frøken Norge 2010 in an exclusive interview for our series Meet the Misses. I consider myself as a positive, independent, humble and generous young woman, who always looks for the best in others. I am very conscious about treating others as I would like to be treated myself, and I always try to make the best out of what life gives me. I also see myself as a caring and selfless person, as I normally put other people before myself. More than anything, I love to be surrounded by my family and friends, and I feel so blessed to come from such a loving and supporting family as I do. I also love traveling, meeting new people and learning about their cultures. I’m a firm believer in personal growth by expanding one’s horizon through traveling. When I was 17, I moved to Kentucky, USA for a year as a foreign exchange student and this is truly an experience that I would not be without. It has given me so much confidence in so many aspects of my life. Norway is a truly beautiful country that I am proud to represent. With its gorgeous and diverse nature, Norway has a lot to offer. The beautiful beaches, fjords, glaciers, mountains and the northern lights attract people with all sorts of interests from all parts of the world. Norway is rich on its resources, and the large oil and natural gas deposits in the North Sea has made Norway one of the wealthiest countries in the world. I consider myself truly lucky to live in a country where education and health care is virtually free, and where parents get a 12-month paid parental leave. We have four distinct seasons in Norway (so it’s not always cold! ), and because of Norway’ high latitude, there are also seasonal variations in daylight. During early summertime, the sun never completely descends beneath the horizon in areas north of the Arctic Circle. This is why Norway is described as the “Land of the Midnight Sun”. Conversely, the sun never rises above the horizon in that same area from late November till late January. I am from the west coast of southern Norway, and this coastal area as well as the coast of northern Norway present some of the most visually impressive coastal scenarios in the world. 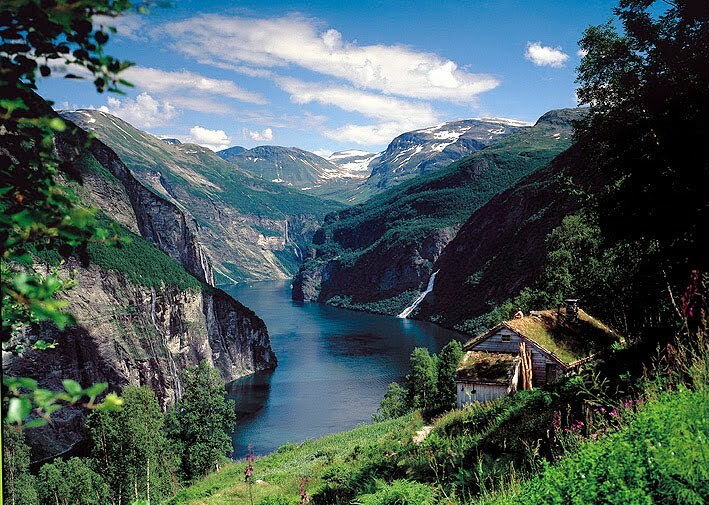 National Geographic has actually listed the Norwegian fjords as the world’s top tourist attraction. My home city, which is Stavanger, is the third largest city in Norway and is commonly referred to as the Petroleum Capital of Norway. In my opinion, Stavanger is at its most beautiful during summertime – this is when the cultural spirit is most vivid through different festivals, tourists visiting from all over the world and surfers finding their way to the beaches. I love the atmosphere in Stavanger – especially during this time. It is a great honor for me to represent my country at Miss World. 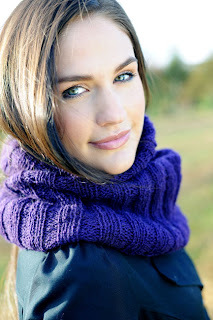 In my eyes, Miss World is a strong, modern woman who wants to make a difference in this world. Kindness, intelligence and willingness to help those in need are just a few of the qualities that I associate with Miss World. I am therefore very proud of knowing that the jury and the Miss Norway organization saw me worthy and as the most suitable candidate to strive for the Miss World title - and all that comes with it. I am very flattered by this, and will do everything in my power to make my country proud. 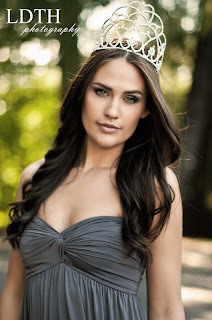 It is now a month and a half since I was crowned Miss Norway. Since then I have picked out my evening gown, I’ve started working on my wardrobe with my sponsors as well as having started to both mentally and physically prepare myself for the Miss World journey that is fast approaching. I love learning about new cultures, so I will definitely learn as much as possible about both the Chinese and the Mongolian cultures before departure. And I might just pick up a few Chinese phrases as well! I will of course work a lot on the production of my Beauty With a Purpose project, which I am very excited about. Another preparation of mine (that is not directly related to Miss World) will be to have a solid focus on school. I am very serious about my education, so in order to fully enjoy and focus on Miss World, I will do my best to finish as much schoolwork as possible before the festivities start. I am aware of how the people around me are doing, and I try my very best to always make someone’s day a little bit better. I live by the golden rule, and am always aware of treating people the way that I would like to be treated myself. I am aware of treating myself good and investing in my future through making good and healthy choices in life. I am also aware about what is going on in both my community and in the rest of the world. I feel that all this gives me a great balance in life. In 10 years I will have finished my master’s degree in development and natural resource economics, and be working in that field. I will have fed my lifelong passion of traveling, learning new cultures and meeting new people. I absolutely adore children, and have since being a young teenager looked forward to one day becoming a mother. So in 10 years I will probably and hopefully have started my own family. Next summer will be the first time for me going abroad to educate and work on preventing the spread of HIV/Aids (through a student organization at my school), and this is something I see myself still doing 10 years from now. It sounds easy picking “beautiful and rich”, but if I were to analyze what is important to me in my life, neither of these two make it to the top of my list. The most important thing in my life is love. Being surrounded by my family, friends and people I love – and who love me back – is for me, the best feeling in this world. My father has always said; “I am the richest man on this earth. Not on money, but on love”. In my case, the apple doesn’t fall far from the tree, and I have adopted his view on what is important in life. Being rich on money is in other words never a top priority in my life. Of course I want to be able to provide for my family and children when that time comes, but I would rather have them feel all the love in this world than have all the money they could ask for. As for being beautiful versus smart: I have always taken more pride in my grades and intelligence, than in my physical beauty, and I would never give up being smart for being physically beautiful. Besides, true beauty is for me something that is defined from positive, selfless and caring actions. This is something we can all be, and should strive to be, no matter what qualities life has given us. I cannot say that I would prefer being beautiful and rich over poor and smart, nor vice versa. I believe in making the best out of every situation and every quality a person has. This person is without a doubt the Norwegian crown princess, Mette Marit. A lot of people where skeptical when she married the crown prince of Norway, but she has certainly proven the skeptics wrong! Not only does she make a marvelous representative for Norway in every means, - she is also a great role model. She is an effective, modern woman, and it seems to me that she keeps a perfect balance in life through focusing on family, charitable work and education – and that is something I admire. She has also grown to be a favorite throughout Europe, and I am proud to have her represent Norway. There are so many exciting countries in this world that I would really like to experience on a more permanent basis, but if I had to choose one it would have to be the USA. 6 years ago, I moved to Kentucky, USA as a foreign exchange student. One year later, when I moved back home to Norway, the family that had hosted me for that year had truly become like my own. It is strange to be happy and so thankful to be spending holidays and important days with your family, but also wishing that you could be on the other side of the earth to share the same happenings with another family. Luckily, I get to visit relatively often. Unfortunately, we have too many problems facing the world today. – Poverty, malnutrition, lack of the opportunity for education, global warming, inequality, violence, injustice.. The list goes on! But I would say that the biggest problem lies in the attitude to very many people in this world. Maybe it would be wrong to call it ignorance or indifference, but very many people seem to have a “don’t care”-attitude to all the horrible things going on throughout the world. I want to believe that we all have it in us to help, care and wish the best for others, so it must be the overwhelming feeling of not being able to make a difference in this world that creates this attitude. But just imagine the results if we would all do a few actions to make the world a better place for someone else and for our Mother Earth! Unfortunately, there is no easy way to change this attitude. Nor a clear answer of how to do it. The way we think about an issue or a situation work hand in hand with emotions, so I think that if there was even more advertising, campaigns and political messages that conveyed a more emotional message concerning many of today’s issues, this would contribute to making that needed change. I want to say that everyone should be able to express their own personal views in all situations and on all subjects, regardless of their position in society, - as freedom of speech is a human right. However, being as profiled as most beauty queens are, the risks of offending people are high. Being a beauty queen involves being a good representative for your country or the organization that you are representing. Therefore I think that a beauty queen should always express the views that are in line with the views of the organization. – This often resulting in being politically correct. There are so many things that I look forward to in the upcoming events of Miss World. I have been to China once, but my stay was unfortunately not long enough to see much, so I am looking very much forward to experiencing both the Chinese and Mongolian culture. I love traveling, so I am thrilled about all the different destinations. I am very excited about meeting all the other contestants as well as getting to know the people of the Miss World organization. Of all previous Miss World winners that I am familiar with, I mostly admire Linor Abargil who won in 1998. The reason may be obvious, but I must say that I admire her courage in coming forth in public about being raped. I am of the understanding that many unfortunate girls who have been in the same situation let embarrassment and the feeling of guilt stop them in letting the truth come out, and instead keep these gruesome memories to themselves. This is just heartbreaking to me, as this makes it so much harder on these girls as well as the perpetrators are not being charged with their horrible wrongdoings. I think it is most admirable that Linor Abargil can inspire and encourage other girls in the same situation to use their voices and stories in fighting against sexual violence. To be completely honest, I must say that I have often condemned the attention I have gotten for my beauty. The truth is that hearing from your girlfriends that they are jealous of you because of the way you look or being stared at in the wrong way a little bit too long by a person, can be hurtful. Some people may interpret this as me being unthankful, but no, that is not the case. I have learned to embrace what I’ve been given in life, and I am extremely thankful that I can direct the attention I get from other people to an issue where that attention is needed. For me that is what beauty with a purpose is. I have learned through experience that with selfless actions comes a genuine feeling of happiness, so I am just thrilled about being able to use my position as Miss Norway for something meaningful. I am currently engaged in several projects through the organization “Save the Children” which I am so excited about. Personal Motto: Treat others as you want to be treated. Favorite Food: Sushi and pinnekjøtt (a traditional Norwegian Christmas meal). Favorite Song: Tirn’a Noir – a beautiful, Norwegian song. Favorite Book: Idas dans (Ida’s dance). This may be a strange pick to many, as it is a tremendously sad book, but the tellings of a mother’s love and fight for her dying daughter hits me straight in the heart. I have never been more emotionally involved in a book. Favorite Singer/Band: Eric Hutchinson/Paolo Nutini.